Food & Wine recently showcased the national artisanal pizza trend, region by region. (Road trip anyone?!) Representing “the South,” Garage Bar and chef Michael Paley were noted as serving Italian-meets-Southern pizzas, illustrated by a photo of one of Garage Bar’s pies. Our favorite Friday is here once again … Trolley Hop! 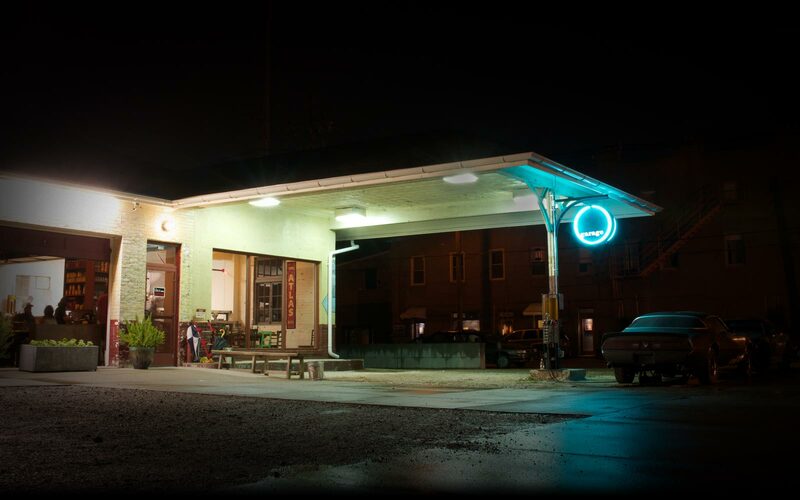 While you’re checking out the artsy happenings in NuLu, be sure to fill up on some Garage Bar grub. The ping pong tables will be a-glowing and the beer will be a-flowing.